In 2019, Parkour popularity is at an all time high. The sport has experienced rapid growth in the past two decades and with this growth, there is a lot of opportunities surrounding the sport. There are now numerous viable options available. 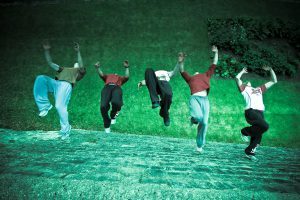 There are a number of ways available to becoming a Professional Parkour Performer. Groups such as http://3run.co.uk/ and https://www.tempestfreerunning.com/ have shown the possibility of becoming a Performer for Live Events aswell as TV and Film. Taking their Parkour skills to the stage after promotion with Showreels and Images signing Agents and Managers in the performance industry. Social Media has also opened up a number of opportunities for Parkour Business. The https://storror.com/ have been a great example of optimizing YouTube. Their YouTube platform of entertaining and exciting videos has allowed them to earn money from sponsored views, aswell as a platform of fans to sell their merchandise too. The more creative and exciting the videos, the more views and viral potential it has. Other Social platforms such as Instagram and Facebook have given rise to a lot of ‘Influencers’ too, and people such as Pasha https://www.instagram.com/pashatheboss/ have created a platform with hundreds of thousands of followers, for which Brands and Companies will sponsor content to be viewed by. How to become a Parkour Coach. Parkour is now a sport in which many kids and adults alike are looking to learn. As such, there is a need for more and more ‘Parkour’ focussed gyms and places to train. These teach people to become competent and safe Parkour coaches, which then allows you to coach at a pre existing gym or even look into setting up your own space. Again, there are a number of options available to setting up your own Parkour gym, but the WFPF Parkour Academy is also an option of a ‘Business In A Box’ approach which can have you setup with Equipment, Insurance and Curriculum in no time at all. It’s unsurprising to see that Parkour lends itself so effectively to the Stunt Industry. Parkour athletes tend to have phenomenal aerial awareness, agility and control when it comes to falling safely. As such these are many of the characteristics that make for a fantastic stunt performer. With the right marketing, videos, contacts and likeable personality to gel within teams, it is very possible to make a living as a Stunt Performer with the specialist skill of Parkour. Who have both racked up countless IMDB credits and stunt awards as a direct result of their Parkour foundational skills. 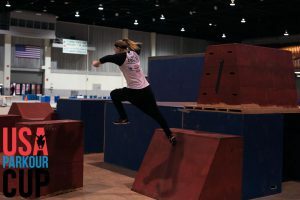 The elite Parkour athletes that focus on honing their skills to really be the best at executing each move in succession have the ability and platform to compete, both domestically and Internationally. Parkour competitions more often than not have prize money for the winners and there is a consistent series of competitions available. 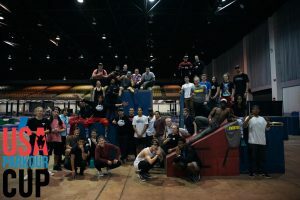 From the https://worldparkourchampionship.com/ to the https://www.facebook.com/events/origins-parkour/origins-parkour-pro-north-american-parkour-championship-final/796294340719748/ and Internationally with The AirWipp Challenge https://www.facebook.com/airwipp/ and so many more. There are many great examples of top level Parkour athletes who have made a living from competing. Are just a few great examples. Above are just a few of the very many ways of Parkour creating career possibilities for you. There are many more options available and probably many more still yet to be explored! So for anyone questioning if their Parkour skills could take them anywhere, have faith. The possibilities are endless.